Deviating away from the stigma of being boring, introverted, and emotionless, Singapore city has employed a sneakily smart plan to entice people to come out of their shells. And quite honestly, I think it’s an effective scheme, given how much progress and visibility it’s been getting from this island and even from the rest of the world. From F1 races, to huge international artists performing here almost every month, from intense advertisements to marketing schemes, from concerts, to exhibitions, festivals, and sports, Singapore has come a very long way. It’s only a matter of time that everyone here becomes too obsessed with events, maybe even turn into an event capital of Asia? Who knows. The easiest site to navigate around, every highlight of the day is posted here. There are different event categories listed out catering to different cultures, races, and tastes. From Arts, Books, Business, to Charity, Courses, Garage Sales, Motoring Events, and Traveling Outdoors. 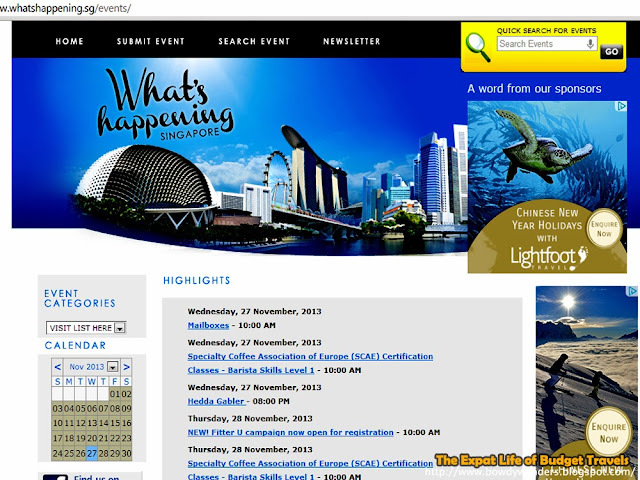 Search and event and learn what’s happening in Singapore. Though I like reading all the Ayn Rand’s, the Paulo Coelho’s, the Dan Brown’s, I still root for the idea of reading seemingly conversation-like texts. Yeah, the yuppie language, after office witty acumens. So, if you’re like me who’d often prefer a nearly yuppie version of how things are described, then this site is for you. Exploring Singapore through Events, from Music Gigs, Concerts, Films, even Walks and Tours, well described by people my generation, it’s quite easy to find the best event from here. Humanity is saved because of Sistic. It’s my ultimate go-to site for great entertainment. 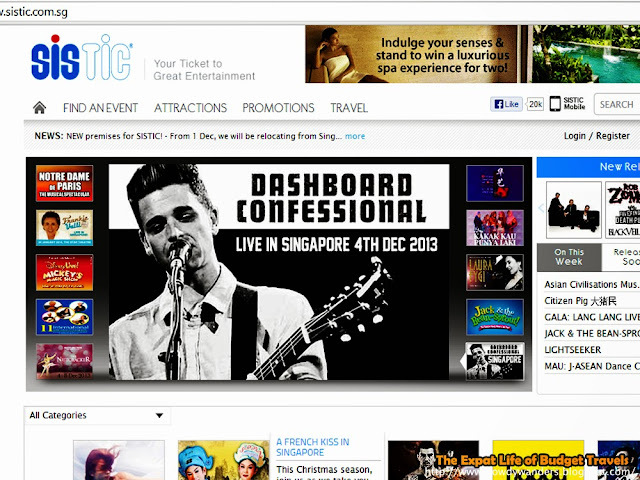 From top viewed events, to promotions, and plays, from new releases within the week, releasing soon, and even some shows beyond Singapore, Sistic has it. You can even book the event ticket here and claim it at your convenience. 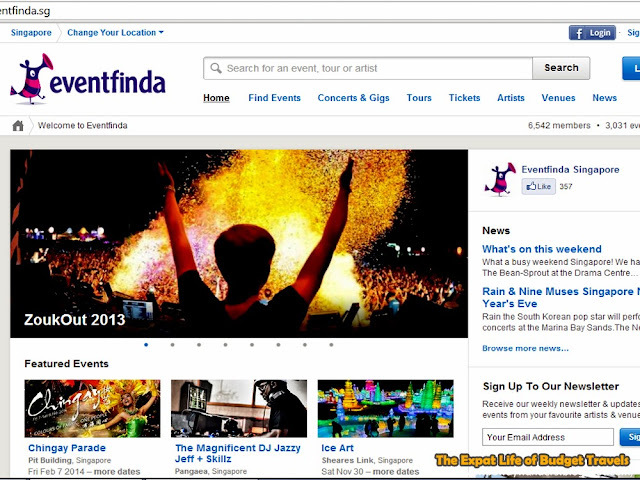 This is an Event Finder site that mostly focuses on Arts and Performing Arts, Music and Nightlife, and Kids and Family. What’s good though is here you can actually swap your tickets or passes should you need to. It’s convenient and it’s free. It’s a safe member-to-member swap for tickets to events, attractions, places of interests, activities and things to do in Singapore. No need to hook up your long time scalpers. You know about the free tourist booklets you see in the Changi Airport? This one’s online. 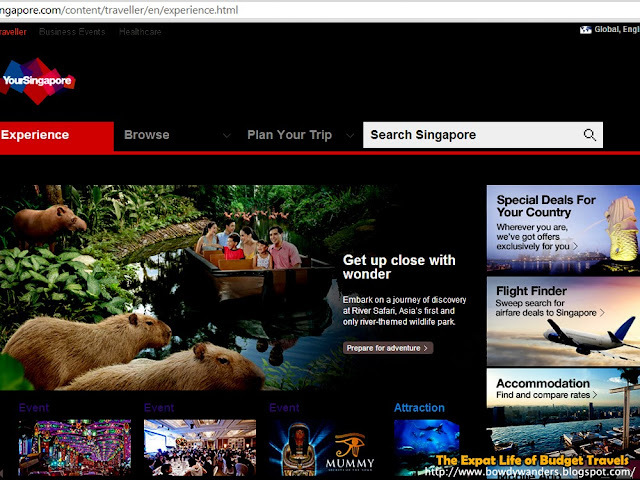 Almost the same, as it’s the Official Tourism Website of Singapore. What’s more convenient here is that everything from Shopping to Attractions and Events are laid out conveniently. 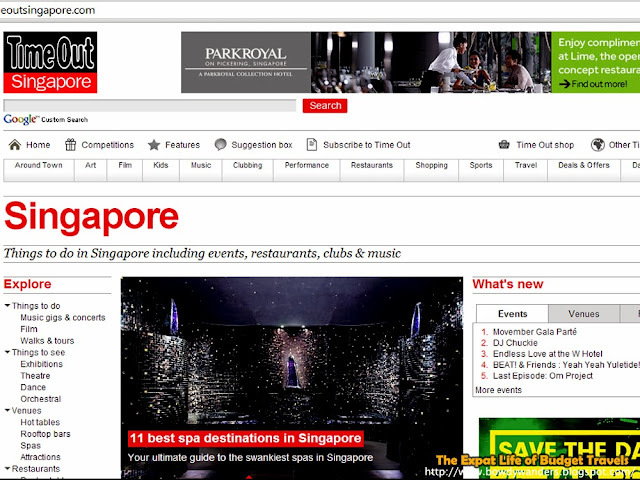 It’s the perfect source for people who are new to Singapore, the first timers who would like to experience the best of Singapore. One of the highpoints of this site is its Events page. 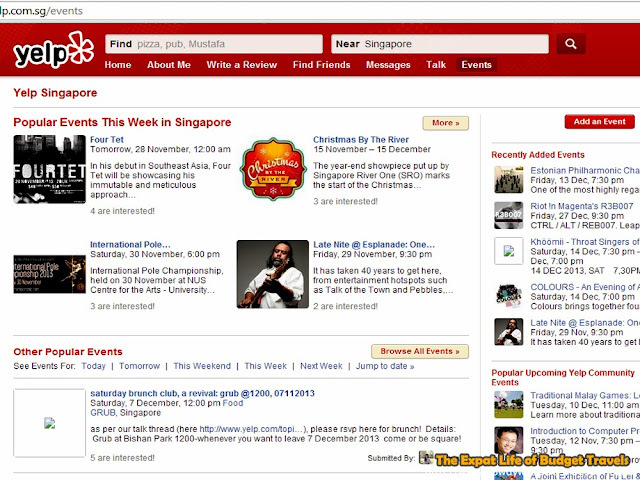 Primarily focuses on the Popular Events within the Week that’s available in Singapore, and it branches out to other popular events for the weekend, the next week, or the recently added ones. Some of the events even show who would be attending, so you’d get a glimpse of the type of crowd you’ll be thronging with. One of the newfound sites that has now more than 6,000 members and 2,000 events published. Aside from the featured popular events across Singapore, here you can also find Featured Artists and Featured Venues that might be of interest to you. 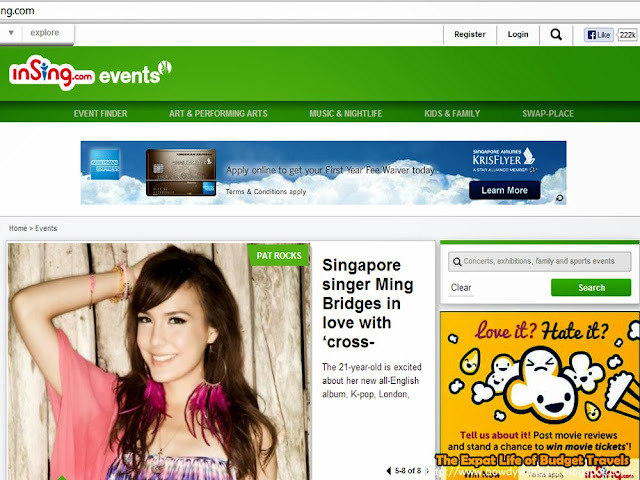 Their upcoming Concerts and Gig Guide Events are arranged per area in Singapore too, so that makes it easier to find an event closer to your place.